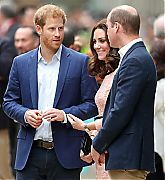 FROM THE WEBSITE: The Charities Forum (originally named The Princes’ Charities Forum) of The Duke of Cambridge and Prince Harry was founded in 2006 as a way to bring their individual charitable interests together and to explore how they could best lend their support to them all in an effective and efficient way. 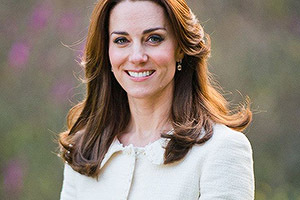 Catherine, Duchess of Cambridge has been a member since April 2011. 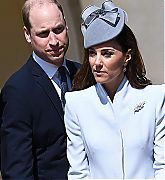 Prince William, Duke of Cambridge is President of BAFTA. 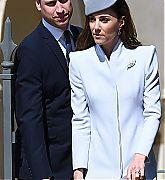 Check out Catherine’s efforts with the BAFTA’s here. 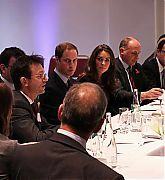 November 11, 2011 – Princes’ Charities Forum – The Duke and Duchess of Cambridge attend the Prince’s Charities Forum at the BAFTA headquarters. 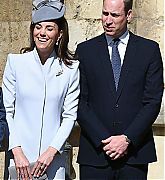 This was Catherine’s first time attending a forum meeting which are held biannually and provide an opportunity for the Charities to update William and Harry on their recent events and ventures, and to talk about their strategic objectives. 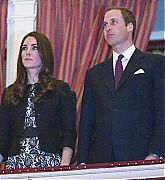 December 06, 2011 – Gary Barlow Performs In Aid of The Prince’s Trust – Catherine, Duchess of Cambridge and Prince William, Duke of Cambridge arrive for a Gary Barlow concert in support of The Prince’s Trust and The Foundation of Prince William and Prince Harry at Royal Albert Hall in London, England. 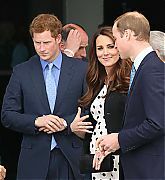 April 26, 2013 – Attending The Inauguration Of Warner Bros. Studios Leavesden – Prince Harry, Catherine, Duchess of Cambridge and Prince William will tour the sets used in the Harry Potter Films during the Inauguration Of Warner Bros. Studios Leavesden in London, England. The royal party then hosted a meeting for its Charities Forum in the Great Hall, one of the original sets from the Harry Potter franchise featured in Warner Bros. Studio Tour London – The Making of Harry Potter. 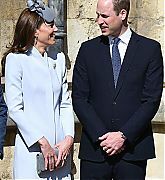 October 26, 2015 – BAFTA Charities Forum Event – Prince William, Duke of Cambridge, Prince Harry, and Catherine, Duchess of Cambridge, took part in ‘welly wanging’ (which consists of throwing a boot at a model of the character of the farmer from the Shaun the Sheep film. 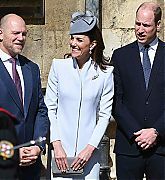 ), Catherine also took part in stop-motion animation workshop on stage where she and a few of the children took part in a skit against a green screen. The also met with children and representatives from their charities EACH Hospices, the Art Room, WellChild, and Child Bereavement UK and Aardman Animations, during a meeting of the Charities Forum at BAFTA in London, United Kingdom. 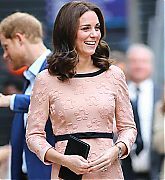 October 16, 2017 – Attending The Charities Forum Event – Catherine, Duchess of Cambridge, Prince William, Duke of Cambridge, and Prince Harry attend the Charities Forum Event. 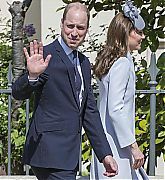 Students from three Place2Be Partner Schools were invited by STUDIOCANAL, BAFTA Kids and Belmondto to board the Belmond British Pullman train and chat with Their Royal Highnesses. 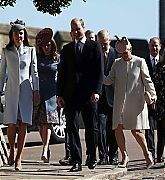 During the visit Their Royal Highnesses also met the cast and crew from the forthcoming film Paddington 2 at Paddington Station.